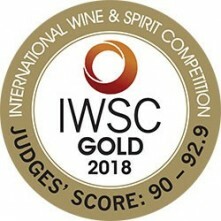 We are thrilled to announce we have taken out GOLD for both our 2018 Pinot Gris and 2018 Pinot Noir Rosé, plus a BRONZE for our recently released Estate Pinot Noir 2015 at the NZ International Wine Show 2018 :) Super happy with this result as we've only recently released all of these wines for tasting and to our purchasers. Not only that though….At the International Wine and Spirits Competition we also took out GOLD for our recently sold out 2014 Estate Pinot Noir. Such a shame we can not share this wine from the cellar door any more but it will still be seen in restaurants and wine stores around the country and overseas as the last stock runs out. At the same competition we were also awarded SILVER for our 2016 Sauvignon Blanc!! AND to add to that haul….At the ANZ Boutique Wine Show we were awarded SILVER for our 2015 Estate Pinot Noir and BRONZE for our 2016 Sauvignon Blanc and recently sold out 2016 Chardonnay.